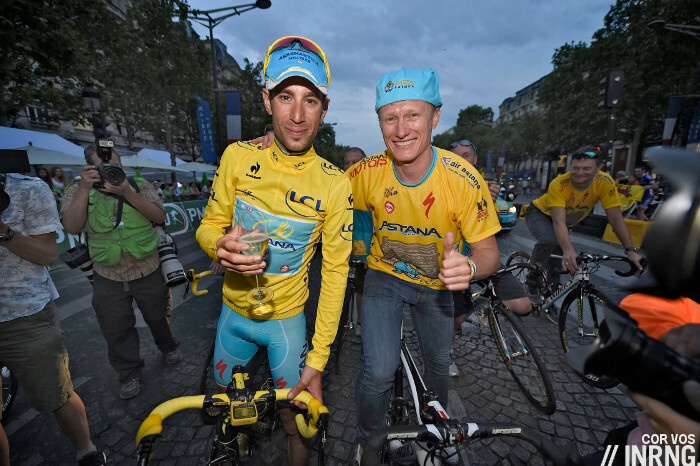 Astana kept their World Tour licence after the UCI’s Licence Commission gave them the green light to ride on. The who, what and why remain a mystery for now as we wait the promised publication of the reasoned decision. Before that happens there are wider issues of communication and perception. Few understand how a team gets a World Tour Licence, the ISSUL audit seems to have been misunderstood by many and it created a scenario where the vacuum of knowledge was filled by speculation and innuendo. It might seem basic but the UCI’s never clearly explained how a team gets a World Tour licence. Sure it’s described in a chapter of the rulebook inside a PDF sitting on the website but who has time to go digging for this? There’s still no World Tour website with a simple flowchart, a presentation or a 90 second video primer. How a team gets into the World Tour is cycling’s version of the Schleswig-Holstein question. Now there have been improvements, the “sporting criteria” have been made more transparent but to a degree, you still need to sit down with a cold towel to review the rules. Joining the World Tour should be a prestigious thing with a clear and obvious path. Take the Astana case where in the vacuum of info there were numerous comments on social media that the UCI could not afford to lose Astana because of the lucrative fees it pays. Only there’s no such thing, teams in total pay about one million Swiss Francs in fees to the World Tour so the loss of one team, a 17th of this is hardly a big hit. It’s the same with the Licence Committee. There were plenty of “Cookson-should-do-this”, “Cookson-should-do-that” comments which misunderstand how the UCI’s Licence Committee works. It’s largely independent of the UCI, it sits in offices hundreds of kilometres away rather than meeting in the UCI’s Aigle HQ. But nobody knows this. Similarly when the UCI imposed the ISSUL audit on Astana back in December nobody knew what this meant. Here was a team’s fate dangling on a process that was a mystery. L’Equipe covered it and having read their piece and scanned some academic journals there was an explainer here in mid December too. But it’s the sort of thing the UCI should have been boasting about long before, it started this in 2013. The UCI did put out a press release but it emerged on Christmas Eve when the Internet is hibernating, the equivalent of news being buried alive. Since then the page has since got three social media shares compared to 1,500 shares for the February press release calling for the team be stripped of its licence or 800 for the December press release saying Astana had to sign up to the mysterious ISSUL plans. So far that’s it, there’s no backpage PDF with the detailed info. Yet this is such an intriguing concept that is set to be a fundamental part of the sport it needs to be understood: traditionally a team could lose its licence for things it’s done, now it could lose its licence for things it has failed to do. The Institute of Sports Science at the University of Lausanne (ISSUL) audit is about evaluating soft things like good practice within teams and tries to make teams responsible for prevention when it comes to doping but also stopping bad working practices that can damage rider health and undermine careers. That’s fundamental, pioneering and possibly something the UCI should be shouting about especially as it’s supposed to apply to all teams for 2017. Astana have been audited to the standards imposed by this but eight more teams have volunteered to trial this: AG2R La Mondiale, FDJ, Cannondale-Garmin, Giant-Alpecin, IAM Cycling, Etixx-Quick Step, Orica Greenedge and Trek Factory Racing. Of course teams can be turned in glorious Potemkin villages in time for an ISSUL inspection but the point is a big change that’s central to the future of team licensing is coming down the tracks and few know it. Not stripping one or two individuals of accreditation, this was the governing body saying the audit had thrown up something so grave the entire squad had to be taken down. This was compounded by the reference to the Padova investigation. But remember if the Padova case was being prosecuted then the Italian authorities would be slowly pursuing people in the courts rather than leaking it to La Gazzetta Dello Sport or freeing up the files for the UCI. We don’t know what was behind the UCI’s decision to refer Astana’s case to the Licence Commission but La Gazzetta Dello Sport did seem well-briefed at times during the process. After events they said the audit threw up some issues where staff were not sufficiently qualified for some roles, communication problems with riders and language barriers. Being flippant this could apply to many teams, especially those with a high mix of nationalities but presumably, hopefully, more concrete problems were identified. So it was all about things that many didn’t think about. The UCI does have a communications problem, giant reforms to the sport either get leaked or are tucked away in a newsletter read by few, except the odd bored blogger when they ought to be released with a fanfare and a timetable to implementation. Only the 2020 calendar reforms appear to be diluted, indeed going from watered down to homoeopathy. This isn’t about the Astana team. Forget whether they had two, three or five positive doping cases and all that for now, it matters a lot and we’ll return to this when the Licence Commission publishes its reasoned decision. Instead this the story of how the sport doesn’t get explained by its governing body. There’s no upstream effort to educate big changes whether calendar reforms, how the bio-passport works or the new coming ISSUL guidelines. Now many fans rightly want to watch a race rather than download PDFs but anyone with the curiosity often won’t get far if they look for answers. 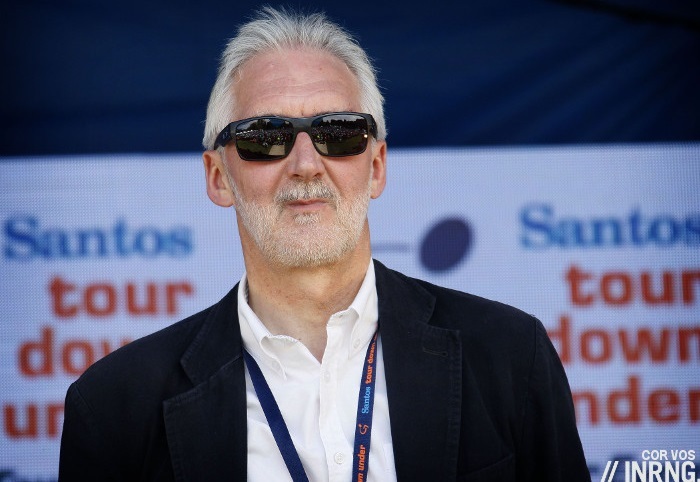 How a team gets into the World Tour isn’t obvious to most with some thinking it’s contingent on bonanza payments to the UCI while others imagine UCI President Brian Cookson personally vetting team applications. It’s not like this. It’s the same for the ISSUL audit: a team’s fate depended on this but in the absence of info many saw the word audit and imagined forensic scrutiny. With little information on the team vetting process and the new ISSUL scheme out there the vacuum which got filled with speculation and innuendo. This was almost encouraged by the UCI when it went public with a very strong message about taking away Astana’s licence and and adding the Padova reference. Now the absence of education comes back to make the UCI look weak, as if it’s left hand can’t hold the right hand to account. A perception perhaps but these things can stick. The new ISSUL guidelines are interesting. Sure anyone determined to cheat can fool the auditors just as they fool the testers but for those who want to do things right, having a more supportive working environment is a plus. It could be a good news story if it was explained more. Thanks again for the brilliant explanations of the machinery behind the entertainment. I think without your explanation I would have been one of those decrying Cookson for not doing his job properly when Astana didn’t lose their licence, instead it looks like they made a PR error in February and should have released a much more neutral ‘we have received the results of the audit and will be asking the independent licensing committee to take a look’ rather than the we’ve got them style statement he did make. Anyway I find I can forgive PR errors and we finally seem to have UCI President who on the whole follows procedures rather than making stuff up as it suits them and for governance that is important in the long term even if it means the short term putting up with decisions we don’t like. There is an interesting assumption that we tend to make here. As consumers of cycling news and entertainment, we assume that we have the right to know all of this. Personally, I support that, because I hate the idea of people hiding things from me. But do I really have a say here? Do I, as the reader and consumer of racing news, have a right to know how the UCI chooses to move slowly to a more systematic process of preventing cheating instead of just penalizing it? Am I a stakeholder? I want to be a stakeholder. But do the people who run teams (JV, Andy R) feel that they owe that to me? Does the team managing the UCI? What rights do they assume that to I have? Why on earth would they assume that I have a right to know? I think that perhaps they don’t. And maybe they are right about this. I don’t like that answer, but it maybe correct. If you’re a licence holder than the UCI exists for you and your national federation and is supposed to be accountable. More than this legal aspect, there’s a presentational aspect where explaining how a team gets in the top flight should be a good news thing, a seal of approval. Without a lot of this it just meant we got a scenario where everyone thought the UCI could act but it couldn’t, leaving many more frustrated than they were in the first place. Note the people in the dark include most pro riders, team staff etc. I’m with you on this but in the past it’s been painfully clear that even important stakeholders like riders and team managers of PT teams aren’t even aware of how these things work. And they should be of course. Yes, we are all stakeholders. If you enjoy watching pro racing, you have an interest in the sport. And, if you have an interest in the sport, you are thereby a stakeholder in the sport. If you are stakeholder, then you have a legitimate claim to participate in the governance of cycling. Don’t be shy about asserting your authority here. Yes. And the same goes for the way races are raced and designed. We are the FOLLOWERS. The targets of the whole show. We have every right to know how it all works and make our opinions heard about it. The Schleswig-Holstein question and Potemkin villages. This blog provides so much more than cycling! Just spent my lunch reading about them and now I’m thoroughly informed on both, as well as the the UCI’s Licence Commission of course. Thanks again. George MacDonald Fraser explained the Schleswig-Holstein question in his novel ‘Royal Flash’. Most entertaining and educational. I’ll have to try that. I just read the Wikipedia entry on it and now my head hurts. I think this obfuscation is intentional. The UCI looks proactive while the problems get buried in 3rd party audits and rules interpretations. A different type of omerta (see Catholic church). The UCI is clearly at fault for its poor PR in respect of important progress in the fight against doping. If you take the time, information regarding the role of the ISSUL audit is available – but not from the UCI. I guess Brian Cookson could rightly be blamed for poor communication as the man at the top. The UCI does appear to have had this inability to communicate or present important information or changes for more years than I can remember. Lets hope Brian Cookson can jog this inefficient area into action – a decent web site would be an excellent start ! Thanks although we need to be cautious when equating Cookson to the UCI. The same with McQuaid, the President can set example, be a figurehead but it’s a governing body with others working there, it can’t all be down to one monarch. New website probably won’t help as it is more about publishing information through that website then the website itself. There probably need to be some organisational changes within UCI. For example, a senior official in charge of communication and would sit in all important meetings representing the wider stakeholders (eg. fans like you & me, riders, teams ect. ), rather than a press officer get brief afterwards as to what should be done. That way, communication became important part of any strategy UCI device. Has it ever happened that a team (apart from Katusha in 2013) had its license withdrawn during a season? On what grounds, and what was the effect on riders, staff, etc? No, some have collapsed after the money ran out but not the UCI stopping them via the granting of licences. It’s rare across all sports, so seeing the UCI trying to do it to a top team was an exceptional move. Quite. Reading through your piece reminds me how cycling, because of its history and the concerted of various individuals, is really so far ahead of other sports in auditing teams and anti-doping etc. But the UCI shoots itself in the foot by messing up the way it communicates what they’re doing. I have the feeling I know pretty well how all the procedures go because I get all the backgrounds from this blog. If I had to get my information from the mainstream media I’d be totally baffled by all that is going on. By the way, how is this in other sports? I have no idea what the criteria are to start a new professional football team here in NL, for example, but I don’t want to do that so I’m not going to try and find out just to see if the nformation is available. By the way, I also have no idea what the KNVB would do if there were multiple doping positives in a single team in a short period of time. I’m afraid they’d burn the evidence and keep quiet. They better sort it out soon. I won’t bother watching any races where Astana are leading. If getting a World Tour licence is the Schleswig-Holstein question what does that make getting a wild card invite to a World Tour race, the theory of relativity?! I literally have no idea how they are chosen! I would be interested to know more about that too, is it done by a committee following a process or is it really just the personal whim of Prudhomme, Vegni etc? There is a committee each time to review things like sporting interest, which teams have a star rider, some local invites etc. Both ASO and RCS do this.